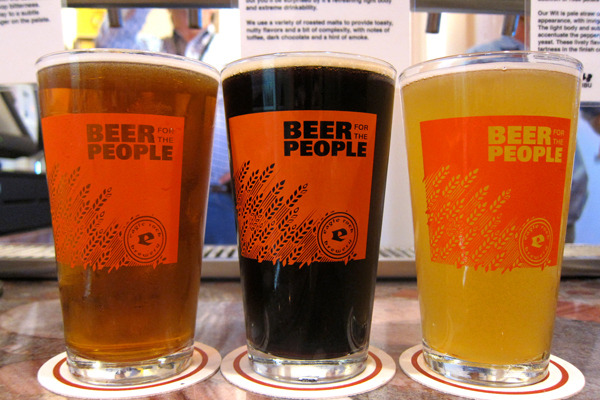 Ride Amtrak to dozens of craft breweries in three states. Breweries, wineries and more foodie stops dot the map between Los Angeles, California, and Seattle, Washington. Amtrak’s Coast Starlight, which runs between the two cities and hugs much of the West Coast—and is billed as “one of the most spectacular of all train routes”—offers a compelling way to explore the region. The entire trip from the Los Angeles Central Terminal to Seattle Amtrak Station, or vice versa, takes 35 hours without stops, but to savor a taste of the West Coast plan a leisurely trip with multiple stops. As an example, you might hop off at these six stations to visit six unique independent breweries. 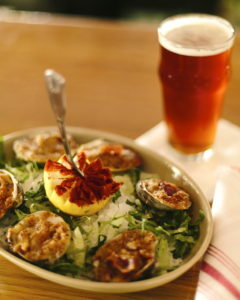 The Eagle Rock Brewery is near the town of Eagle Rock, a five-minute car ride away from the train station. Located in a converted warehouse in a formerly sketchy neighborhood, the brewery has helped transform the area. “I’ve spoken to lots of neighborhood folks, and they said that a couple years ago people avoided walking down this street,” says owner Jeremy Raub. “Now I see people walking up and down this street all the time. I think our business has helped, and our relationship with the food trucks has given people a reason to come visit this neighborhood.” Opened in 2009 this family-owned business offers beer styles that range from sessionable to imperial. Its core beers include an IPA, pilsner-style brew, and Belgium witbier. The Woodwork Series moves into the realm of sours with tart cherries and mangoes, or a Belgian-style pale aged on raspberries. Everything here is indoors as this is a working brewery not a fancy taproom. Food trucks rotate, plus you can have food delivered. There are several rice bowl options nearby, but your best bet is Lupita’s Tamales a block away for fresh Mexican food. From Los Angeles the train rolls to Santa Barbara with views of the Pacific Ocean. 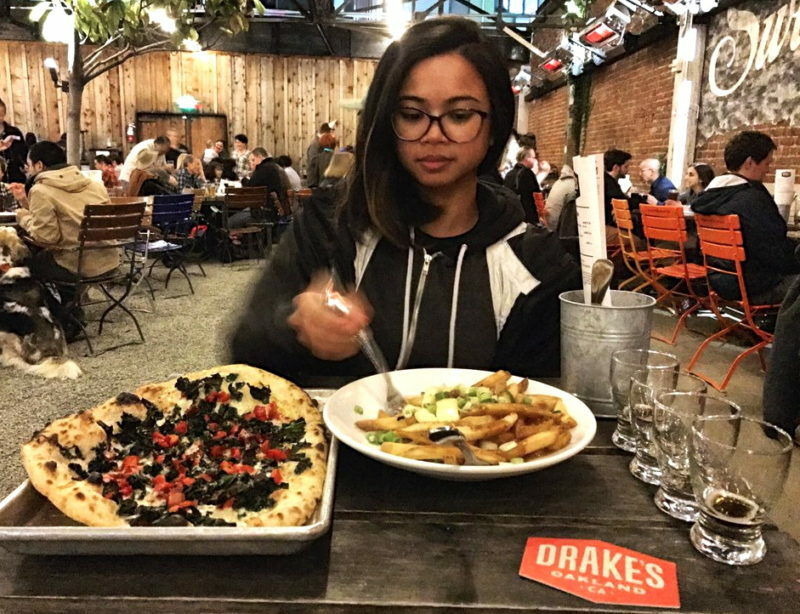 Figueroa Mountain Brewery is a three-minute walk from the historic 1904 train station and gets you to the Funk Zone and the brewery. Just two blocks from the beach, the Funk Zone is populated with wine tasting rooms, restaurants, art galleries, a distillery and Fig Mountain, as it is known locally. “We are proud to be a family run business from the area and happily support Santa Barbara’s vibrant craft beer and food scene,” says owner Jamie Dietenhofer who, along with his father Jim, started the brewery in 2010. A stone’s throw from the tasting room are three restaurants including Lucky Penny—try the tremendous meatballs al forno with prosciutto ragu. 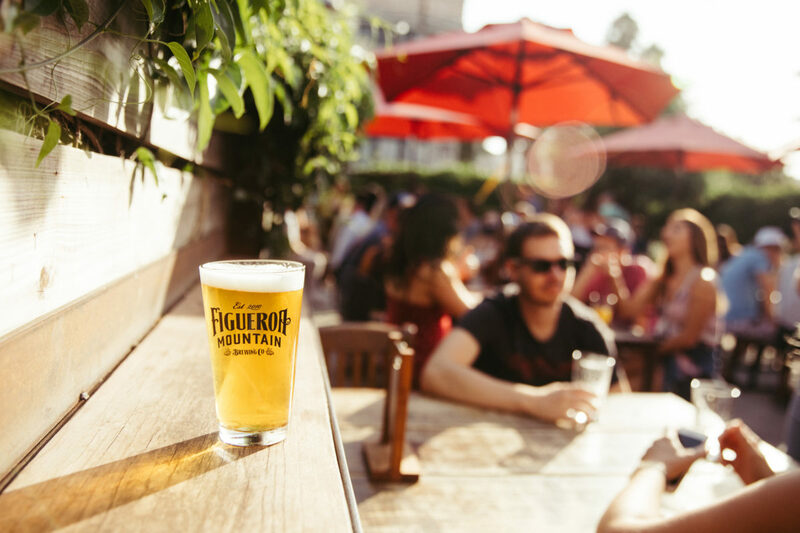 Fig Mountain has 18 to 23 specialty beers including core beers like Lizard’s Mouth and Hoppy Poppy—the names reflect Santa Barbara; for example, Lizard’s Mouth is a boulder-studded hiking area in the mountains with stunning views of the Pacific Ocean. The brewery has a small interior dominated by tanks, but it’s the outdoor seating where you can soak up the sun while sipping on San Roque, an American stout with rich coffee notes that’s named for a Santa Barbara neighborhood. Though Paso Robles is getting attention for wine, it’s a hotbed of brews and craft spirits as well. Barrel House Brewing Co. is a 10-minute drive south of the Amtrak station located in what is called Tin City, a collection of 19 wineries, a creamery, and cidery situated on the outskirts of town. Barrel House Brewing Co. came on line in 2013 and sits on a half acre including a large outdoor area with a mini waterfall. You can bring in your own picnic for the outdoor beer garden and listen to live music on the weekends. You’ll find everything from IPAs and sour ales to more deviant brews like a rice-based Japanese lager, and a coconut coffee cream stout. Your best bet is to order to-go food from Thomas Hill Organics, a farm-to-table restaurant four blocks from the train station—the grilled shrimp salad and black lentil tacos are terrific—then ride share to Barrel House. Amtrak stops in Oakland, across the Bay from San Francisco. Drake’s Dealership is one of the more unusual beer gardens, located inside a former Dodge dealership. The 10,000-square-foot space can seat 350 people and offers more than 30 beers on tap. Signs from the building’s dealership days lend a retro feel to the interior. The brick-walled, open-air beer garden has communal tables, bleacher-style seating, built-in Adirondack booths, fire pits, and an outdoor stage for live music. Two giant, wood-burning pizza ovens churn out pizzas better than run-of-the-mill: try a pie topped with mission fig, goat cheese, castelvetrano olives, and mozzarella, or perhaps instead topped with Spanish chorizo, fennel sausage, poblano peppers, with fresh garlic, and mozzarella. Couple these with a selection of barrel-aged beers including The Void, a stout aged in rye whiskey barrels, or the successful Denogginizer, a powerful double IPA that finishes slightly sweet. The train passes through two lush national forests and offers views of the snow-capped Mount Shasta as it chugs towards Portland, Oregon. This sets the mood for Occidental Brewing Company that brews some of the best German-style ales and lagers in town, quite a feat considering Portland has nearly 60 breweries. Since founding the brewery in 2011 with the goal of making continental-style beers in the hallowed land of IPAs, brothers Ben and Dan Engler have created their own niche with beer drinkers who shy away from hoppy styles by offering a lineup of approachable, sessionable, ales and lagers. Dan has been a fan of German beer ever since brewing his first Hefeweizen in high school. “I like their less-is-more-approach and the fact that their flavors are so clean and subtle,” he says. 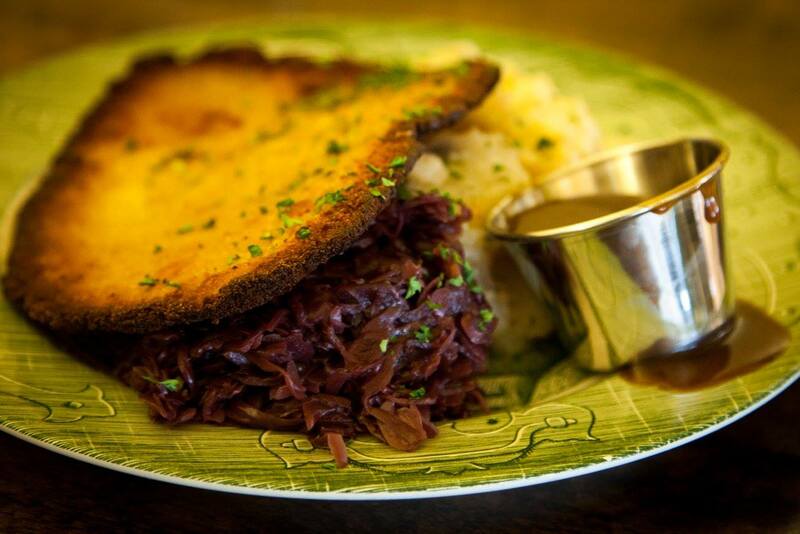 Just steps away from the brewery, Urban German Wursthaus serves a full menu of traditional German fare like classic schnitzel and plenty of sausages. Nibble and sip while sitting outside with views of the regal St. John’s Bridge. Drink Kolsch or Alt, beers difficult to locate outside of their respective cities of Cologne and Dusseldorf, Germany. 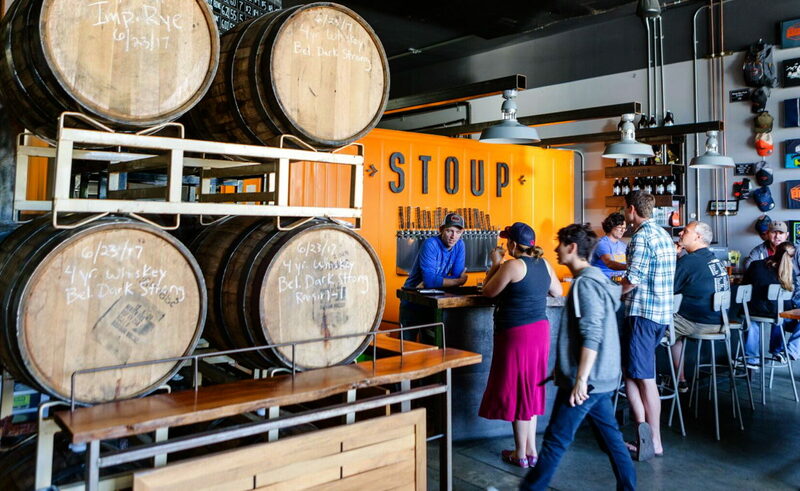 Stoup beers are beautifully balanced from start to finish,which makes sense given certified-Cicerone Robyn Schumacher’s contributions to the team that launched the brewery in 2013. Located 20 minutes south of the Seattle station in the Ballard Brewery District (home to 11 breweries and counting), Stoup has a garnered a bunch of awards and a devoted following with up to 21 beers on tap, and a year round beer garden. The roster includes an excellent robust porter and sour Berliner Weisse with a shot of flavored syrup. There are food places nearby plus a dedicated food truck schedule, all clearly spelled out each week on the brewery’s website. “One of our favorites is Napkin Friends,” says Schumacher. “They are delicious sandwiches between potato latkes instead of bread. Our most popular beer, Citra IPA, is a great foil for the rich potato and pastrami combinations.” Every other Thursday, Nacho Mamaison site; the food truck has raised the humble nacho to an art form with clever, high-quality ingredients and combinations. “Our German style Pilsner is the way to wash that decadence down,” says Schumacher. Amtrak’s Coast Starlight amenities include a lounge car and dining car, plus a range of accommodation options: reserved upper/lower coach seats, superliner roomette, superliner bedroom, superliner bedroom suite, superliner family bedroom, and superliner accessible bedroom. Book a roomette or superliner for private space on board. Some options can accommodate three passengers (two sharing a lower berth and one in an additional upper berth lowered from above). A sofa or easy chair in some rooms reclines for seated comfort plus can be flattened into a bed. Larger roomettes feature private, self-enclosed restrooms with toilet, sink and shower. 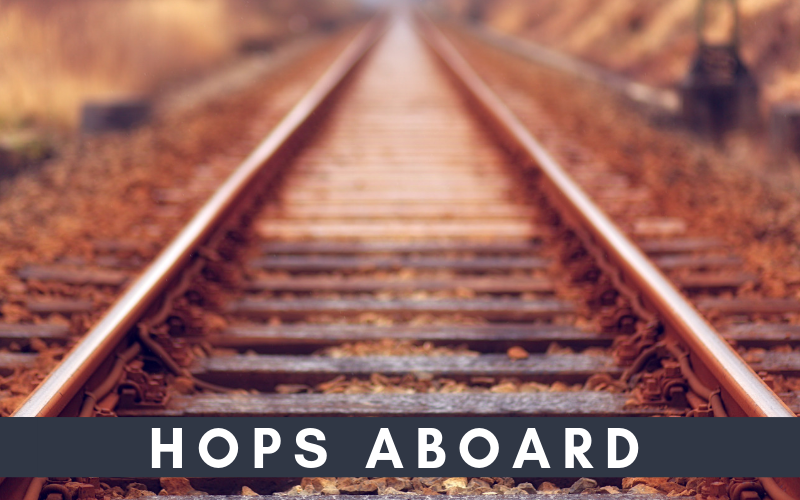 Ground transportation (such as a taxi or ride sharing service)will be necessary to access all breweries listed except for the one in Santa Barbara, which is walking distance from the Amtrak station. Michael Cervin is the author of five travel books and is currently working on a new cookbook, Santa Barbara Eats. He has served as restaurant reviewer and travel editor for Santa Barbara News-Press and has written food and travel articles for Robb Report, Forbes Travel Guides, The Hollywood Reporter, Decanter (London), Fine Wine & Liquor (China), and Old Liquors Magazine (Netherlands), among others. 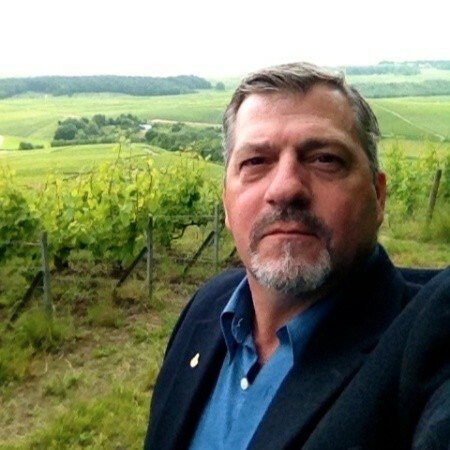 He is the Wine Reviews Editor for both Bonfort’s Wine & Spirits Journal and Drink Me Magazine, writes the “Cocktail of the Month” column for Arroyo Monthly Magazine, and contributes to The Whiskey Reviewer. He has also helped judge various competitions and is the wine buyer for the Santa Barbara Airport.